Parkshore is a 55+ community located in Boca Raton, Florida consisting of 234 patio homes. 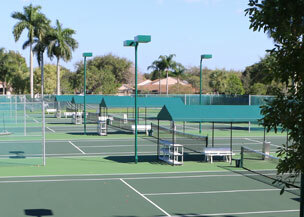 It is situated within the larger community of Whisper Walk, which consists of five communities with a total of 1,446 patio homes, and a recreation complex with eight tennis courts, two of which have lights for nighttime play, four lighted pickle ball courts and four paddle ball courts. 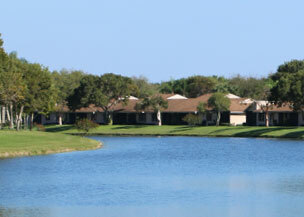 The Parkshore homes surround a scenic lake in the center of Whisper Walk. All the homes within Whisper Walk are single story with beautiful landscaping and several lakes, which give the community a park-like appearance. Parkshore is the newest community within Whisper Walk with construction completed in 1993. Four models with approximately 1650 square feet under air are offered at Parkshore. Most models have two bedrooms, two bathrooms, a den and a florida room. Some have converted the the den to a third bedroom. All units have a one car garage, with entry to the kitchen and a two car driveway for the express use by the resident. Amenities at Parkshore include a 6,500 square foot clubhouse which was completely renovated in 2011. The clubhouse includes an updated exercise room, library, billiards room and an all-purpose room for card playing, parties and shows. The clubhouse area includes a large pool and hot tub, which were also recently renovated, with a sundeck and shuffleboard courts. Parkshore is managed by an elected seven member Board of Directors consisting of unit owners, with the assistance of a professional management company, Seacrest Services, Inc.
With its many activities available on-site, and its location convenient to parks, theaters and cultural and religious facilities, Parkshore is an ideal location for active adults. Click on a photo and SCROLL thru!